Some things, as well as people, just seem made for each other. The birthplace and world capital of surfing, Hawaii has long been famous for its waves. 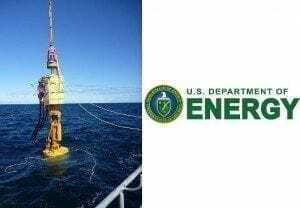 Now, the U.S. Department of Energy (DOE) intends to test the feasibility of harvesting the energy of ocean waves to generate clean, renewable electricity at the U.S. Navy’s wave energy test site off Oahu. 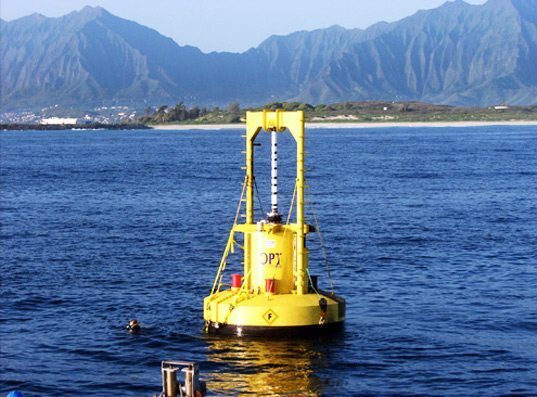 The DOE on April 28 announced the opening of a $10 million funding opportunity to test prototypes of ocean wave energy conversion (WEC) devices offshore Marine Corps Base Hawaii in Kaneohe Bay. In doing so, the DOE and Navy can help diversify the U.S. energy mix, reduce greenhouse gas emissions and other negative environmental and social impacts associated with conventional fossil fuel use. The project will also give a boost to the development of a fledgling offshore U.S. power industry. The world’s most isolated island chain, residents of Hawaii pay a high cost for their dependence on fossil fuel imports, not only in terms of monthly utility expenses, but in terms of environmental pollution and the degradation of human and environmental health and safety. Harnessing the energy of sun, wind and waves could change all that. Though its per-capita energy use was the fourth-lowest in the nation in 2011, Hawaii imported 93 percent of its energy and had the highest electricity prices in the U.S. in 2013, according to the U.S. Energy Information Administration (EIA). As does maximizing use of its solar and wind, not to mention geothermal, energy resources, harnessing the energy of Hawaii’s ocean waves to generate clean, affordable and reliable renewable electricity seems like a natural fit. In fact, a 2010 study from the DOE’s National Renewable Energy Laboratory (NREL) concluded that Hawaii has more than enough in the way of solar and wind energy potential to meet all its energy needs. The availability of $10 million in DOE funding to test two advanced-stage, near-full-scale WEC devices at the Navy’s Wave Energy Test Site (WETS) off Oahu will help spur the potential transition from imported fossil fuels to local, clean, renewable energy resources. Testing of the WEC devices is to take place at depths of 60 and 80 meters at the WETS sites in Kaneohe Bay on Oahu. The project will encompass “evaluation and comparison of performance, reliability and levelized cost of energy,” (LCOE), the DOE explains in its funding announcement. Besides testing ocean WEC devices, the DOE and Navy have also been testing another groundbreaking method of harnessing the ocean’s energy to generate clean, renewable electricity that could rewrite the rules of the energy game. Ocean Thermal Energy Conversion (OTEC) takes advantage of the temperature difference between cold, deep ocean waters and those at the surface to generate clean, renewable electricity 24×7. Capable of providing “massive levels of energy,” the Department of Defense (DoD) and DOE have been funding OTEC research and development in Hawaii for over 30 years, working with the Hawaii state government and private sectors partners including Lockheed and Makai Ocean Engineering to build prototype OTEC power plants. The first to generate electricity on a net-power basis was completed in 1979. Islands such as Hawaii are serving as pathfinders, and potential harbingers of changes to come, as we make the transition off of conventional fossil fuels. Such fundamental change raises genuine concerns, debate and controversy, and brings conflicts of interest to the fore. Rapid growth in residential solar photovoltaic (PV) installations among Hawaiians, for instance, has pitted residents and communities against the state’s electric utility and government regulatory authorities. Solar electricity generation in Hawaii skyrocketed nearly six-fold in 2013, according to EIA statistics. The construction of wind farms on Maui caused protests from local residents, who objected, among other things, to the fact that much of the electricity generated would be sent over for use on Oahu. Residents living nearby the Puna geothermal power facility on the Big Island of Hawaii have been fighting in the courts regarding the health and environmental impacts of the plant’s operations. Ongoing debate, controversy and conflicts-of-interest are certain as the foundations of a new clean energy infrastructure emerge. With so much in the way of renewable energy resource potential, and so much to gain economically and socially, as well as environmentally, Hawaii, and Hawaiians can play an outsize role in shaping the energy future not only today in their own state, but across the U.S. and beyond for generations to come.